For the past 12 days, children impacted by Cyclone Idai have been living a nightmare. 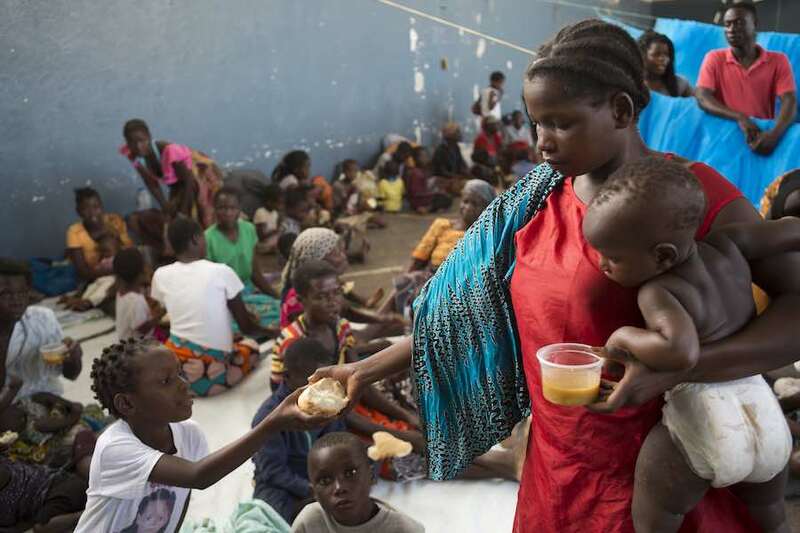 In Mozambique alone, approximately 1.85 million people, including 1 million children, need urgent humanitarian assistance to recover from the worst natural disaster to hit southern Africa in two decades. In Beira, there is critical infrastructural damage and heavy flooding in urban areas. Floodwaters, which cover an area the size of New York City, Washington, D.C., Chicago and Boston combined, have damaged up to 50 percent of Mozambique's annual crops just before the harvest. UNICEF’s partner organization, the United Nations World Food Program (WFP), underscored the severity of the crisis by declaring the floods in Mozambique a Level-3 emergency, on a par with Yemen and Syria. That context is sobering; this week, the world marks the fourth anniversary of the war in Yemen, a conflict the UN has called "the world's worst humanitarian crisis.” Of the more than 22 million people who need humanitarian assistance there, more than 11 million are children. UNICEF’s partner organization the United Nations World Food Program (WFP) has declared the Mozambique floods a Level-3 emergency, on a par with the crises in Yemen and Syria. Though the scope of the Yemen crisis is far greater than that of Cyclone Idai, the number of people impacted in Mozambique grows by the day, with children facing some of the same threats that have loomed large for Yemen’s most vulnerable victims: food shortages, a damaged health care system, waterborne diseases, damaged schools and displacement. Cyclone Idai has crippled Mozambique's health care system. The storm damaged 57 health care facilities, even blowing the roofs off some, like the Ponta Gea health center in Beira, where mothers and their newborns were forced to weather the storm in the open air. UNICEF is scaling up to help reestablish primary health care services and provide counseling and support to 100,000 pregnant women and breastfeeding mothers. Outreach teams have also been dispatched to prevent a rise in malnutrition and help people protect themselves from communicable diseases. At medical tents like the one above, UNICEF health workers are caring for families and children who are sheltering at evacuation centers and working to contain the spread of waterborne diseases. "We are in a race against time," says Leila Pakkala, UNICEF Regional Director, Eastern and Southern Africa. "As search and rescue operations continue, this is of utmost importance." Stagnant waters, decomposing bodies and overcrowding create breeding grounds for cholera as well as diarrhea, malaria and measles, all of which prey on children. On March 27, the first cases of cholera were confirmed in one of Beira's poorest neighborhoods, raising the stakes in an already desperate fight to help hundreds of thousands of people sheltering in increasingly squalid conditions. 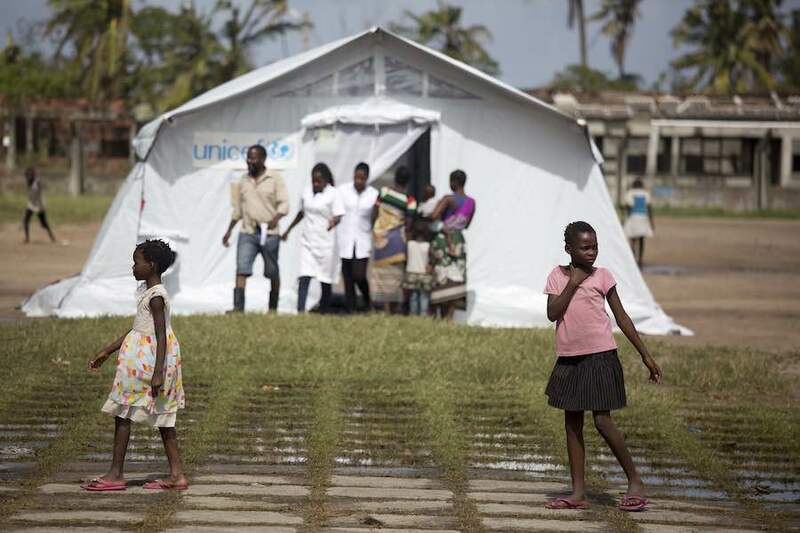 At the Macurungo Health Center in Beira, UNICEF has donated treatment tents where people suffering from diarrhea can get help and be tested for cholera. "Lately we have had tens and tens of cases of diarrhea — of which a few were diagnosed as cholera," says Alexander Boon, a UNICEF Mozambique maternal and child health specialist. "An information campaign is going to happen in the coming days to inform the population about the risks of diarrhea and cholera and the measures they can take to try and reduce the risk of transmission." UNICEF, WHO and partners will soon begin vaccinating 900,000 people. A shipment of oral cholera vaccines is now en route to affected areas. 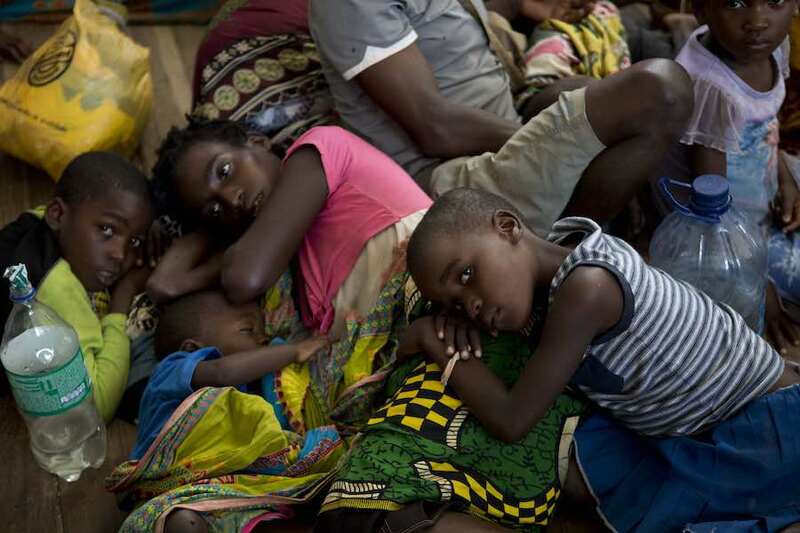 Cyclone Idai has displaced at least 135,000 people in Mozambique. Many, like the woman and children above, seen here resting at a school in Buzi, are now living in 161 transit centers in Sofala, Manica, Zambezia and Tete provinces. At overcrowded shelters, families have limited access to water and sanitation. "We are seeing thousands of people congregating in informal, improvised camps. Many are in desperate conditions, having had little food or water for days," says Pakkala. "Conditions in the shelters are very precarious: Men, women and children are crammed together, which can put many at risk of abuse." Children who are now without parents are a major source of concern. Though it's still too early to tell how many there are, UNICEF has deployed trained staff to the evacuation centers and affected communities to provide counseling to children who have been orphaned or become separated from their parents. UNICEF is setting up safe spaces where children can receive support and is working to see that children who are on their own are placed in foster care or alternative safe housing. Above, Caelono, 15, holds pages from a schoolbook he rescued when the floodwaters receded near his home in Beira. Over 3,200 classrooms have been damaged in Mozambique's Sofala, Manica, Zambezia and Tete provinces. With schools serving as evacuation centers for the displaced, Mozambique's children are sure to fall behind. "We are setting up Child-Friendly Spaces and emergency schools," says Pakkala. "Making sure that education does not stop at this time is particularly important since it gives children a sense of routine and normality." UNICEF has launched a fundraising appeal to provide 380,000 children, from ages 6 to 15, with the learning materials and instruction they need to continue learning. For preschool-age children, recreational equipment and supplies that aid early childhood development are being deployed so they can learn through play. Above, displaced children living in the Samora Machel school in Buzi, Mozambique, receive food donated by a supermarket chain. With some 12,355 acres of crops destroyed just as farmers were about to bring in their corn harvests, residents who depend on farming for their food or livelihood will have to wait until the end of this year to plant again. A severe loss of livestock is also expected, exacerbating the pre-cyclone poverty that plagued the country's central region. To help feed families now, WFP is rushing supplies to the area and has so far reached more than 115,000 people with emergency food assistance. UNICEF is supporting the WFP and the other partners spearheading food and agricultural assistance. As the leader in the screening and treatment of children with severe acute malnutrition (SAM), UNICEF is doing its part by scaling up its procurement of Ready-to-Use Therapeutic Food (RUTF) along with its in- and outpatient screening and treatment capabilities. 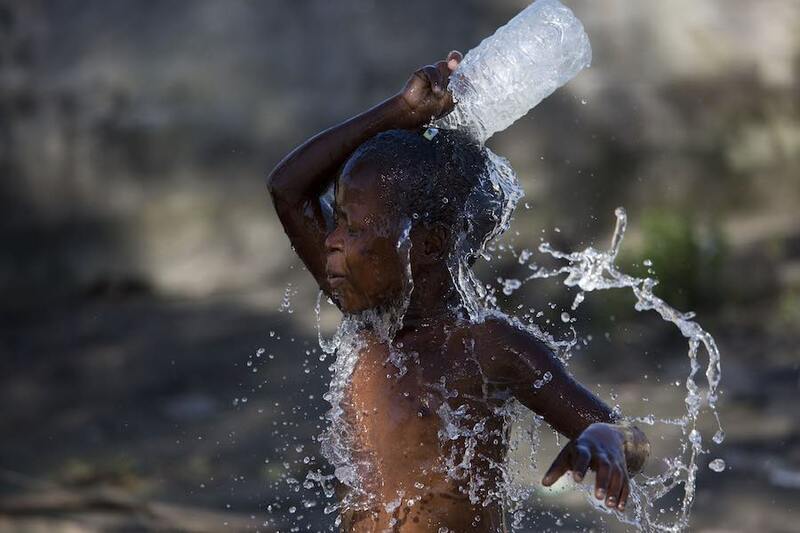 With no electricity to power the pumps that supply water to Beira, children like the little boy above could only use dirty water to try to stay clean. But now, clean water is flowing again in 60 percent of the city, thanks to a collaboration between UNICEF, UK Aid and the Mozambique government. Many areas, such as parts of Sofala, are still waiting for both the power and water to come back on. Until service is restored, government teams are trucking water to families who are still doing without. To help, UNICEF is providing water purification products and other emergency water supplies so that families can make sure that they have clean, safe drinking water. 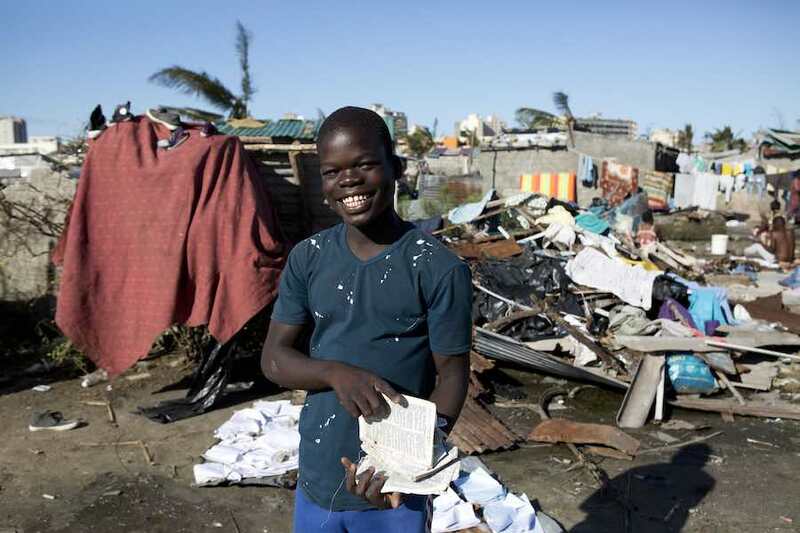 Top photo: A boy stands near a destroyed house in an area that was flooded after Cyclone Idai made landfall in Beira, Mozambique.